Fabulous then, and fabulous now! Meet The Peacock Magazine's cover girl. 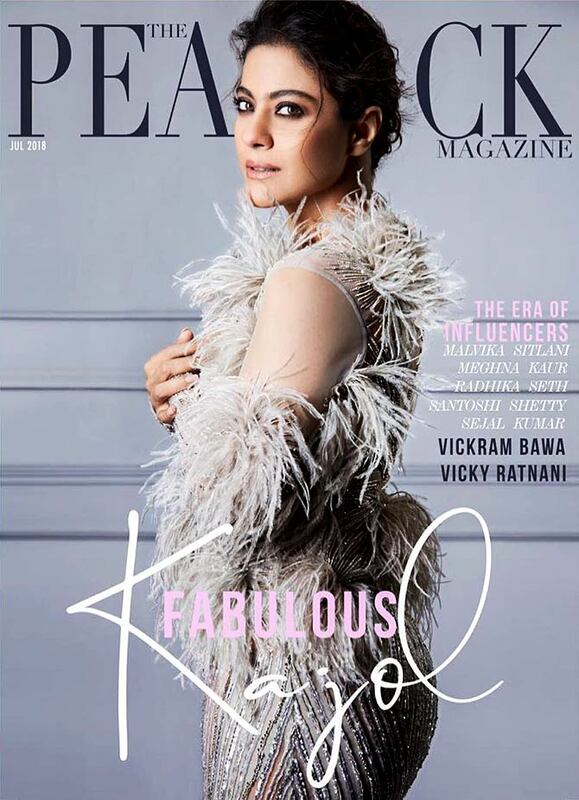 After a really long time Kajol graced the cover of a magazine and it's goes without saying that the actor looks fabulous as ever. Dressed in gorgeous evening dresses by designers Falguni Shane and Peacock, the actor looked stunning on the cover and the inside shoots. Photographed by Suresh Natrajan and styled by Mohit Rai, Mickey Contractor is the man behind Kajol's flawless look. Scroll down to see some more looks from the photo shoot. With that smile, she can make anyone floor just about anyone! 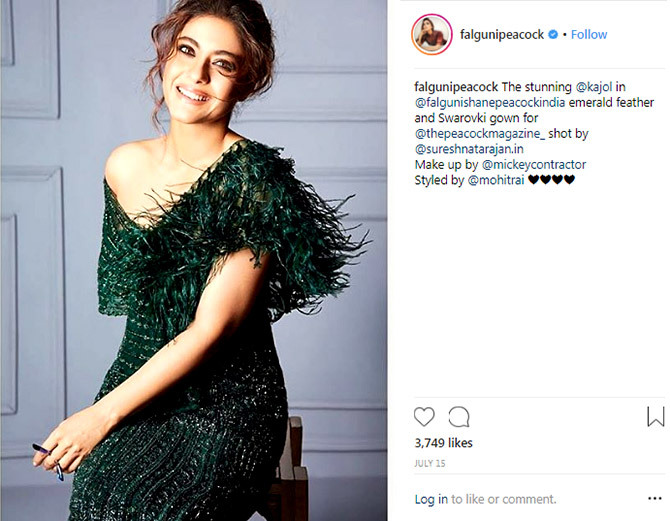 Kajol wows in a emerald feather and Swarovski gown. In this midnight blue gown, Kajol definitely nailed it! She completed the look with wind swept hair and red lips.